Home / Blog / Is MSU’s Crisis Closer To The End, Or The Beginning? When working with clients in crisis, of any magnitude, there’s a question I think about every day. “no,” there needs to be some sort of movement toward “yes.” The goal should always be getting out of crisis. Sadly, for the alumni, students, faculty and staff of Michigan State University, after a full year, the institution is still in crisis. 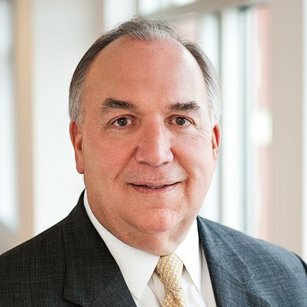 That’s almost solely because of the words, made both intentionally and unintentionally public, by its interim president, former Michigan Governor John Engler. Prior to his pressured resignation today, process toward crisis recovery has been two steps forward, three steps back. Engler communicated too many messages that showed callousness, insensitivity and downright hostility toward victims of Dr. Larry Nassar. From the important standpoint of PR, the university president became his own worst enemy. All of this is obvious in his 11-page resignation letter. Yes, you read that right. The longtime politician claims he’s a victim – of partisan politics – while reciting a litany of accomplishments. MSU is now the home of the two most hubris-laden resignation letters in recent memory, as Engler has perhaps outdone his predecessor. Despite a record of progress the University made in the last year, even in trying to protect the safety of its students, which is its primary responsibility, Engler shirked his role as communicator-in-chief. He just couldn’t help himself on so many occasions when he could have and should have put respect for victims first, in order to move the institution into the future. Unlike in politics, where elected officials speak for themselves or their parties, the president of a university speaks for the entire institution. In 20 years of working with higher education, we have seen presidents lead transformations at colleges and universities by powerfully serving as the face and voice. By ignoring outside PR counsel, by squandering opportunities set up by his very well qualified and regarded communications lead and by writing and speaking in degrading terms about victims of abuse, Engler’s own actions overshadowed any progress. In hiring a president, MSU’s reconstituted Board of Trustees, if there’s any interest in moving out of crisis, must hire someone with PR savvy. The next president should have a vision to make the school a national leader in student safety, with compassion for past victims as more than a talking point. It can’t come from a PR plan. It must be authentic. It must emanate from a place that hasn’t been apparent to the public in that job lately – the soul. In donating his salary back to MSU, Engler essentially worked for free. When it comes to the important PR portion of a president’s job, the University overpaid.